Administrative Law Judge (ALJ) Susan Ruff of the Office of Administrative Hearings (OAH), State of California, heard this matter on February 22, 2011, in San Juan Capistrano, California. 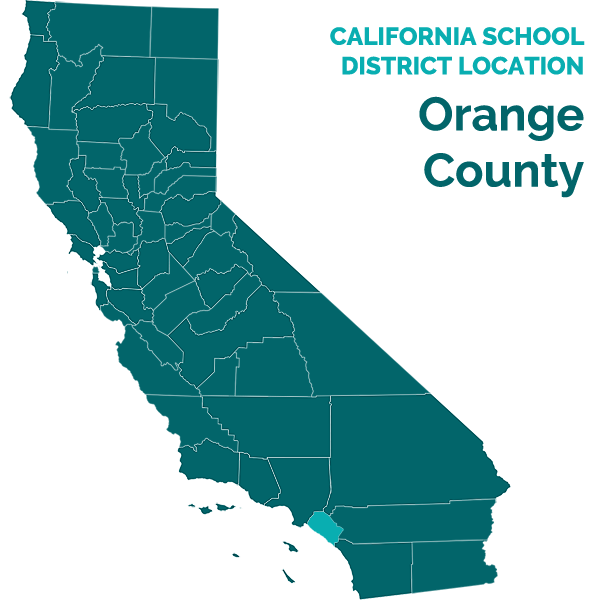 Ernest Bell, Esq., represented the Capistrano Unified School District (District) at the hearing. Crystal Bejarano and Joseph Jones also appeared on behalf of the District. Kathleen Loyer, Esq., represented the Student and his parents (Student) at the hearing. Neither Student’s parents nor Student were present at the hearing. 1 To maintain a clear record, the District’s written closing argument and reply closing argument have been marked as Exhibits D-10 and D-11, respectively. Student’s written closing argument and reply closing argument have been marked as Exhibits P-9 and P-10, respectively. During the hearing, Student discovered that page 2 of Exhibit P-8 was inadvertently omitted from Student’s exhibit book. Student’s counsel requested and received leave to file the missing page after the hearing. That page has been added to Student’s exhibit book as page P131. 1. Student is a 12-year-old boy who is eligible for special education and related services. At all times relevant to this case, he lived within the jurisdiction of the District. 2. In April 2009, when Student was in the fourth grade, the District conducted his three-year (triennial) assessment. The assessment report noted that Student had been evaluated by an occupational therapist in September 2008, and had been referred for a mental health assessment to Orange County Health Care Services on February 26, 2009. The tests administered by the District during the triennial assessment included the Wechsler Intelligence Scale for Children –Fourth Edition (WISC-IV), the Wechsler Individual Achievement Test –Second Edition (WIAT-II), the Beery Developmental Test of Visual-Motor Integration –Fifth Edition (VMI), the Behavior Assessment Scale for Children -Second Edition (BASC-2), and the Children’s Depression Inventory (CDI). 3. There was no evidence presented at hearing that Student’s parents ever objected to this triennial assessment or requested an independent educational evaluation (IEE) as a result of this triennial assessment. The appropriateness of this assessment is not at issue in the instant case. 4. During an individualized educational program (IEP) team meeting held in October 2009, the team discussed concerns about Student’s escalating behavior problems. In particular, the team was concerned about Student eloping from the classroom (leaving class without permission). This was a behavior that Student had not exhibited in the past. Student’s other behavioral problems included classroom disruption, defiance and use of profanity. The IEP team decided to conduct a functional analysis assessment (FAA) to examine the behaviors. 5. An FAA is an assessment based on data collected regarding a child’s behavior. Particular behaviors are the focus of the assessment. These are referred to as the “target” behaviors. Data regarding the target behaviors – such as when and how often the behaviors occur – is collected over a period of time. The assessor looks at the data to try to determine the antecedents of the child’s target behaviors (the things that trigger the behaviors) and the function of the behaviors (for example, whether the child is misbehaving in order to avoid tasks). The assessor then outlines a plan to try to eliminate the target behaviors. 2 The federal code uses the term “evaluation” instead of the term “assessment” used by California law, but the two terms have the same meaning for purposes of this case and will be used interchangeably herein. 6. The District prepared an assessment plan for the FAA. On November 4, 2009, Student’s parents signed their consent to have the District conduct the FAA. 7. The District staff collected data for the FAA daily from November 10, 2009, to January 4, 2010. The data involved Student’s target behaviors, including eloping from class, defiance/work refusal, use of profanity, classroom disruption, and destruction of school materials. 8. District school psychologist Simone Gunderson conducted the FAA and prepared the report.3 Gunderson has been a school psychologist with the District for approximately five years. She holds a master’s degree in educational psychology, a credential in school psychology, and is trained as a behavior intervention case manager (BICM). She has training in behavioral analysis, has completed hundreds of psycho-educational assessments, and has attended hundreds of IEP team meetings in her career. She has conducted about 50 functional analysis assessments and approximately an equal number of functional behavior assessments. 9. The results of the FAA indicated that the antecedent for Student’s eloping behavior was when he was required to complete a class assignment he did not prefer, typically involving written work. Student did not like writing assignments and would engage in the target behaviors to avoid those assignments. Student’s IEP at that time called for him to be in a general education classroom for approximately half his day and a special education resource classroom for the other half. His target behaviors were the same no matter which type of classroom he was in. It also did not matter if Student was given a choice of non-preferred activities. However, the target behaviors did not occur in social settings, such as lunch or recess. The problem behaviors might start with destruction of class materials and then escalate to eloping. 10. As a result of the FAA, the District concluded that the function of the target behaviors was to avoid academic tasks. The FAA recommended behaviors for Student to use to replace the target behaviors and proposed goals for Student’s IEP. During the hearing, Gunderson explained that the FAA did not recommend a strategy of allowing Student to avoid written work, because a written component would always be part of Student’s education. 11. At the time of the October 2009 IEP, Student was eligible for special education and related services as a child with a specific learning disability (SLD). During the October 2009 IEP team meeting, the team discussed the possibility that Student might also be eligible for special education under the category of emotional disturbance (ED). As Gunderson was conducting the FAA, she felt that an updated assessment in the area of social/emotional functioning might assist the IEP team with determining whether Student met the eligibility criteria for emotional disturbance. 3 Gunderson was the sole witness who testified at the hearing. For expert testimony, Student relied upon the written reports of Student’s two experts which were entered into evidence. 12. On December 8, 2009, the District sent Student’s parents an assessment plan to have a social/emotional assessment conducted by the school psychologist. Student’s parents signed their consent to that assessment plan on December 9, 2009. 13. Gunderson conducted the social/emotional assessment of Student in December 2009, and prepared a report dated January 5, 2010. During her testimony at the hearing, Gunderson explained that the purpose of her assessment was not to conduct a comprehensive psycho-educational evaluation. A comprehensive evaluation had been done as part of Student’s triennial assessment earlier that year. Instead, Gunderson’s assessment was intended to provide updated information on social/emotional functioning to the IEP team to help determine if Student met the eligibility criteria for emotional disturbance. [Student] was referred by the IEP team for additional evaluation in the area of social and emotional functioning due to parent and teacher concerns regarding emotional functioning and inappropriate behaviors. The purpose of the assessment is to obtain a current estimate of his social and emotional functioning and to assist the IEP team in determining appropriate eligibility for special education and the appropriateness of his placement. 15. As part of her assessment, Gunderson interviewed Student, reviewed records, observed Student in class, and administered various rating scales to Student, Student’s parents, and Student’s teachers. The rating scales included the BASC-2, the CDI, and the Emotional and Problem Scale – Second Edition (EPBS-2). 16. The BASC-2 is a multi-method and multidimensional approach to evaluating the behavior and self-perceptions of children and young adults. The BASC-2 consists of norm-referenced rating scales measuring numerous aspects of behavior and personality. Gunderson administered the BASC-2 to Student, to both of Student’s parents, and to both of his teachers. The rating scales completed by the parents and the teachers listed Student’s behaviors as being at-risk or clinically significant in many different areas. Student’s own responses to the BASC-2 contained clinically significant scores with respect to his attitude toward school and teachers, depression, and sense of inadequacy. 4 During the hearing, the parties stipulated that this was an amended psycho-educational assessment report, that there were no issues regarding the timeliness of this assessment or the FAA, and that there were no issues regarding the timeliness of the IEP meeting held to review and consider the assessment reports. To avoid confusion with other psycho-educational assessments, the January 2010 assessment will usually be referred to herein as the “social/emotional” assessment. 17. The CDI measures the extent and severity of depressive symptoms in children between the ages of seven and 17. The responses of Student, his parents and his teachers all indicated that Student had significant depressive symptoms. 18. The EPBS-2 is a behavior rating scale used to identify significant emotional and behavior problems in children. Student’s teachers filled out this rating scale and noted many areas of concern. 19. The BASC-2, CDI and EPBS-2 all look at varying areas of a child’s social/emotional functioning, and they also have areas in which they overlap. Gunderson chose the BASC-2 and CDI, in part, because they had previously been administered in the triennial assessment in April 2009. She felt that repeating the two tests would help to quantify the changes in Student’s behavior that the IEP team members had noticed. 20. Based on her assessment, Gunderson concluded that Student met the criteria for eligibility for special education as a pupil with emotional disturbance. 21. Gunderson was qualified to conduct the FAA and the social/emotional assessment. She was familiar with the tests in question, was trained to use them, and had used them before. She used tests that were validated to provide information about a child’s eligibility under the category of emotional disturbance. She used a variety of assessment tools to gather her information and did not rely on a single intelligence quotient. The tests were sufficiently comprehensive and tailored to evaluate the specific areas of educational need that were the focus of the assessments. Gunderson conducted the assessments in Student’s primary language of English and conducted the testing in accordance with the test manufacturer’s instructions. She administered the assessments in the language and form most likely to yield accurate information about Student’s behavior and social/emotional functioning. The tests were selected and administered so as not to be racially, culturally or sexually discriminatory. She gathered information for the FAA from the sources required by regulation and followed the appropriate procedures in conducting the FAA. 22. In Student’s written closing argument, Student contended that Gunderson’s assessments were flawed because they were not comprehensive and failed to assess Student in the areas of sensory deficits, fine motor skills, executive functioning, and whether Student was at risk for harm to himself or others. Student brought in no expert testimony or other evidence to support these contentions. Gunderson testified that her assessments were not intended to examine occupational therapy issues such as sensory deficits. However, she was able to rule out sensory issues as being responsible for Student’s target behaviors in the FAA because those behaviors occurred in a variety of settings. If, for example, Student’s target behaviors had occurred in large classroom settings, but not small group settings, Gunderson might have been concerned that Student was affected by sensory overstimulation. However, according to the results of the FAA and social/emotional assessment, the same problem behaviors occurred across settings. Gunderson did not examine Student’s fine motor skills. Those fine motor skills had been examined during the triennial assessment. 23. Likewise, Gunderson’s assessments were not intended to address Student’s executive functioning. Some of the assessment tools she used might have provided guidance regarding Student’s executive functioning, such as certain areas of the BASC-2 and her observations of Student. During cross-examination, Gunderson stated that, based on Student’s diagnosis of attention deficit hyperactivity disorder, she would not be surprised to find out that Student had executive functioning problems, but that was not the focus of her assessments. 24. Gunderson testified that some of the information she gathered during her assessments could help determine whether Student was at risk for causing harm to himself or others. At the time of her assessments, she did not feel he had any factors indicting he was at risk for harm to himself or others. 26. Students eloping behavior lessened after the January 2010 IEP team meeting. However, in other respects, Student’s behavior grew worse. The BIP was reviewed and updated at the May 19, 2010 IEP team meeting. During the meeting, the team agreed to modify Student’s BIP to address new behaviors that Student was exhibiting – including hitting, spitting, and throwing objects – along with the original behavior of eloping. Although the May 2010 IEP indicates that Student’s parents questioned the effectiveness of Student’s school placement and services, there was no evidence that Student’s parents requested any IEE’s at that time or at any time during the remainder of that school year. I have been reflecting on [Student’s] current placement…, [Student’s] progress there in the “B.I.C.” program, and his AMENDED PSYCHOEDUCATIONAL EVALUATION, dated 12/15/09 and subsequent report titled FUNCTIONAL ANALYSIS ASSESSMENT REPORT, dated 1/5/10 and come to the conclusion that I have to disagree with the findings of the Psycho-Educational Evaluation and with separate issues, disagree with the targeted behavioral tactics put in place to modify [Student’s] inappropriate methods of response. To whom would I direct my request for an I.E.E. for my son [Student], and also if you could respond by including input regarding all CapoUSD criteria under which an I.E.E. may be obtained. 5 Because the placement and services offered to Student are not at issue in the instant case, only the portions of the IEP terms relevant to the assessments are discussed herein. 28. On October 25, 2010, Student’s father had a telephone conversation with Jones. Although there was no testimony regarding that conversation during the hearing, a letter written later by Jones indicated that Student’s father had requested a neuropsychological assessment and occupational therapy assessment for Student, in addition to the two IEE’s mentioned in his email. 29. On November 4, 2010, Jones wrote a letter in response to the email and telephone call. The response indicated that Student’s parents had been emailed the District’s regulations and criteria for IEE’s on October 22. The letter explained that the District did not believe it was necessary to provide any IEE’s at District expense. The District agreed to conduct an occupational therapy assessment, but declined to conduct a neuropsychological assessment. 30. On October 25, 2010, Susanne Smith Roley, an occupational therapist hired by Student’s parents, assessed Student in the area of occupational therapy. As part of her assessment, Roley observed Student at school and in her clinic, reviewed his prior records, interviewed Student’s parents, provided questionnaires to Student’s parents, provided rating scales to Student’s parents, and tested Student. The rating scales she provided to Student’s parents included the Adaptive Behavior Assessment System (ABAS-II) Parent Form, the Sensory Processing Measure (SPM) Home Form, the Behavior Rating Inventory of Executive Function (Brief) Parent Report, and the Social Responsiveness Scale (SRS) Parent Report. She tested Student using the Sensory Integration and Praxis Test (SIPT). 31. Roley concluded, among other things, that Student had problems with emotional regulation, heightened sensitivity to a variety of sensations, poor tactile discrimination and “difficulty processing vestibular information about gravity and movement affecting his postural control….” She recommended occupational therapy once weekly for 60 minute sessions for six months. She said that the therapy sessions should occur outside of the school setting “in order to be sensitive to his need for privacy with regard to specialized treatments relative to his peers.” Roley charged Student’s parents $1000 for her assessment. 32. Student’s parents also hired Nathan Hunter, Ph.D., a licensed psychologist, to conduct a psycho-educational assessment of Student. In October and November 2010, Hunter conducted his assessment of Student and prepared a report. Hunter reviewed Student’s records and previous assessment data, conducted testing of Student, interviewed Student’s parents, provided a questionnaire and rating scales to Student’s parents, spoke by telephone with Student’s mental health treating professionals, and interviewed Student. 33. Hunter found that Student was very difficult to test. At times Student would be cooperative in testing and at other times he would completely shut down or only participate with reluctance. Hunter administered the WISC-IV to measure Student’s cognitive ability. He also administered the Wechsler Individual Achievement Test – Third Edition (WIAT-III), the Dellis-Kaplan Executive Function System (D-KEFS), the Motor-Free Visual Perception Test – Third Edition (MVPT-III), the Bender Visual Motor Gestalt Test (BVMGT), the VMI, the Clock Drawing screening task, and the Comprehensive Test of Phonological Processing (CTOPP). Hunter noted in his report that his “test results should be interpreted with considerable caution taking into consideration [Student’s] fluctuating mood, low level of effort, periods of complete shut-down, and lower motivation on some tasks….” The rating scales Hunter provided to Student’s parents included the Behavior Rating Inventory of Executive Function (BRIEF) and the Conners’ ADHD/DSM-IV Scales – Parent (CADS-P). 34. Hunter found that Student was average in most cognitive areas but did very poorly in areas involving processing speed. Hunter noted that Student had scored much higher on prior administrations of the WISC-IV. On the WIAT-III, Student’s achievement scores ranged from average to the significantly low range. Student was unable to finish the Sentence Composition portion of the test and shut down when confronted with the Essay Composition portion of the test. On the D-KEFS, Student’s overall performance indicated difficulties with executive functioning. 35. Hunter concluded that Student should be eligible for special education under the eligibility category of emotional disturbance, with a secondary handicapping condition of SLD. He recommended, among other things, that Student be placed in a highly structured setting with a small class size and high adult-to-pupil ratio. He felt a residential treatment center would be most appropriate. Student’s parents paid Hunter a total of $5,651.25 for his assessment services. 36. At no point in either of their assessments did Roley or Hunter criticize the District’s January 2010 FAA or social/emotional assessment. Student called no witnesses, expert or otherwise, who criticized the District’s two assessments in any fashion. Student brought in no expert testimony or other persuasive evidence to contradict Gunderson’s expert testimony. Although Hunter gave more tests to Student than Gunderson did, his ultimate conclusions regarding Student’s eligibility were very similar to Gunderson’s conclusions. 37. The Roley and Hunter assessments were conducted approximately 10 months after the District’s FAA and social/emotional assessment. The parties did not dispute that Student’s behavior was changing over those ten months. For that reason, the findings and conclusions in the Roley and Hunter assessments, even if they differed from the District’s findings and conclusions, are of limited persuasive value in determining whether the District’s assessments were appropriate at the time of the January 2010 IEP team meeting. 7. As discussed in Factual Findings 6 – 25 above, the evidence supports a finding that Gunderson was qualified to perform the FAA and social/emotional assessment and performed the assessments in accordance with the statutory requirements. She selected and administered the assessments so as not to be racially, culturally or sexually discriminatory. She evaluated Student in his native language and administered the assessments in the language and form most likely to yield accurate information about Student’s behavior and social/emotional functioning. She used the assessment measures for purposes for which the assessments were valid and reliable. Her assessments were tailored to evaluate specific areas of educational need and did not solely rely upon a single intelligence quotient. She conducted the assessments in accordance with the instructions for each assessment. She gathered information for the FAA from the sources required by regulation and followed the appropriate procedures in conducting the FAA. 8. Student does not dispute that Gunderson was qualified to conduct the assessments in question and does not dispute that the District followed the required procedural laws and regulations in conducting the assessments. Instead, Student disagrees with the content of the assessments. Student contends that the analysis and conclusions in the District’s assessments were flawed. For example, Student’s written closing brief argues that the assessments were “redundant, self-serving, cursory and lacked any real insight into how this child’s very unique and very significant disabilities affected his ability to access his education.” However, as set forth in Factual Findings 36 – 37 above, Student provided no evidence at hearing to support these claims. Student chose not to call any expert witnesses to testify on Student’s behalf. The two expert reports that Student placed into evidence do not criticize the District’s assessments in any fashion. To the contrary, as discussed in Factual Findings 35 – 37 above, Hunter came to the same general conclusion as Gunderson’s social/emotional assessment that Student should be eligible for special education under the ED category. 9. Student argues that the “severe decline in the child’s behavior and school attendance, is proof of [the assessments’] inadequacies.” Student cites no statutory or case authority for the unique proposition that a school district’s assessment is required to guarantee positive results for a child or be considered inappropriate. Not even IEP’s are held to such a standard. (See Board of Education of the Hendrick Hudson Central School District v. Rowley (1982) 458 U.S. 176, 192 [102 S.Ct. 3034].) The validity of an IEP is judged by the information possessed by a school district at the time it was made, not by hindsight. (JG v. Douglas County School Dist. (9th Cir. 2008) 552 F.3d 786, 801; Tracy N. v. Department of Educ., Hawaii (D.Hawaii 2010) 715 F.Supp.2d 1093, 1112.) However, even if there were such a standard, Student submitted no persuasive evidence that Student’s decline in behavior was due to inadequate assessments, rather than other factors within Student’s life. 10. Student’s written closing argument also criticized Gunderson’s decision to repeat some of the tests that had been given during the triennial assessment. As discussed in Factual Finding 19 above, Gunderson chose to do so to help quantify changes in Student’s behavior. Student brought in no evidence whatsoever to challenge Gunderson’s expert decision to do so. 11. Student also raises concerns regarding Student’s IEP’s and the educational services provided to Student by the District. However, the appropriateness of the IEP’s and the programs provided pursuant to those IEP’s is not at issue in this case. The only issue in the instant case involves the appropriateness of the two assessments. Student is free to file Student’s own due process case, should Student wish a formal hearing and adjudication regarding the appropriateness of the IEP and educational programs. 12. Student also contends that the District’s two assessments were not comprehensive because they did not address issues relating to sensory deficits, fine motor skills, executive functioning or whether Student was an “at risk” child for injury to himself or others. As discussed in Factual Findings 22 – 24 and 36 – 37, Student presented no expert testimony to support the contention that the District’s assessments were flawed because they failed to include these areas. Gunderson explained which tests she gave and why she did not give other tests. Gunderson was credible and qualified, and her testimony was persuasive on these issues. 15. The legal authorities cited by Student do not change this result. Student’s cited case authorities involve parent-filed cases in which the lack of certain assessments was directly at issue in the cases. (See N.B. v. Hellgate Elementary School District (9th Cir. 2008) 541 F.3d 1202; D.B. v. Bedford County School Board (W.D.Vir. 2010) 708 F.Supp.2d 564.) Student cites to no district-filed case in which the court went outside the issues set forth in the due process request to determine whether an additional assessment should have been conducted. 16. The issue in the instant case involves only two assessments. If those two assessments were not appropriate, then the automatic IEE provisions of law require the District to fund the requested IEE’s. (Ed. Code, § 56329, subd. (c).) If they were appropriate, no public funding of IEE’s is required. As discussed in Factual Findings 1 – 24 and 36 – 37, and Legal Conclusions 2 – 6, the evidence supports a finding that those two assessments were appropriate. The District followed the statutory and regulatory requirements in conducting the assessments. Gunderson was qualified to conduct the assessments and did so in an appropriate manner. The assessments appropriately addressed the narrow areas for which they were designed. The District met its burden to show that the assessments were appropriate. The District is not required to fund IEE’s based on those two assessments. 6 Nothing in this decision is intended to foreclose Student from bringing Student’s own case to argue that the District should have conducted other assessments (such as an occupational therapy assessment to examine sensory and fine motor concerns). The issue of whether assessments in other areas should have been conducted is separate from the issues in the instant case. For this reason, no findings have been made herein regarding Student’s claims that the IEP’s called for occupational therapy collaboration and similar matters. 7 During the hearing, Student’s counsel represented that she had only received a copy of the April 2009 assessment report on the first day of the hearing. However, that does not change the issues involved in the present case. The District’s January 5, 2010 amended psycho-educational evaluation and functional analysis assessment were appropriate. The District is not required to fund any independent educational evaluations based on those two assessments. Pursuant to Education Code section 56507, subdivision (d), the hearing decision must indicate the extent to which each party has prevailed on each issue heard and decided. In accordance with that section the following finding is made: The District prevailed on all issues heard and decided in this matter.